Heather Knight is the worthy winner of this year’s Walter Lawrence Women’s Award, which is won by the batsman who makes the highest individual score in a season. Having led the competition since May 6, when she made an unbeaten 153 in the LV Women’s County Championship, Knight eclipsed that score with a battling innings of 157 for England Women in the Ashes Test match against Australia Women on August 13. The 22-year-old brought up her century in 263 balls before being run out on 157, the seventh highest score by an Englishwoman in Tests, for which she won the Player of the Match award. 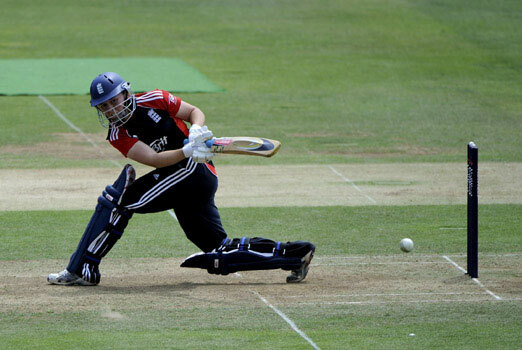 Rochdale-born Heather has also played in 39 One-Day Internationals and 11 T20 Internationals for England. Heather, captain of Berkshire Women, has enjoyed a prolific season scoring 604 runs in the County Championship, averaging 100.66, as well as 225 runs in the T20 County Championship at an average of 56.25. She is the second winner of the Walter Lawrence Women’s Award since it was introduced last year and receives a silver medallion and a cheque for £500, which will be presented at the Walter Lawrence Trophy presentation dinner in The Long Room at Lord’s on October 15.